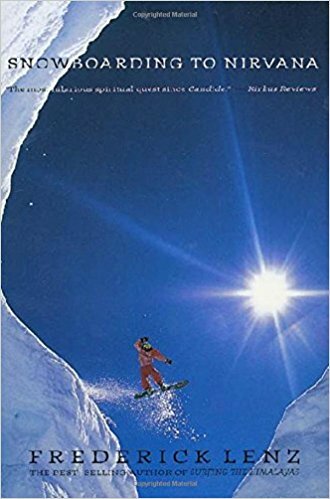 Once again Frederick Lenz (author of the bestselling Surfing the Himalayas) uses snowboarding as the metaphor for maneuvering through the ice and powder of life. Our snowboarding hero must solve the spiritual riddle of "the missing dimension" before he can reach the next level of enlightenment. Paradoxes, Bruce Lee movies, Tibetan tantric texts, and a love affair with a Danish woman offer the puzzling clues and exotic visuals. You are not what you think. What you think changes, like all of life. You are what you don�t think. Life is a journey of the spirit. Don�t fight it, go with it. There is nothing you can do about it, anyway, so why not be happy? Beyond this world there are countless worlds, and beyond them lies nirvana. It is perfect awareness beyond self. Don�t be afraid of the truths of life. Hard though they might be to understand, and troubling though your experiences may be in this or any incarnation, the truths set forth in this book will free you. They are the composite knowledge of all the great Tantric Buddhist masters who have successfully walked the path between the worlds that you are now traversing. You too will succeed. Meditate on these thoughts and you will come to know all that can be said in words. The rest you must experience in meditation. May your journey on the path of the razor�s edge be filled with light and success. May all sentient beings attain enlightenment! May the dharma conquer all ignorance!